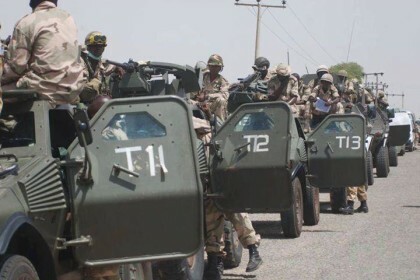 A total of 52 repentant Boko Haram members are undergoing deradicalisation in Gombe, Coordinator Operation Safe Corridor, Maj.-Gen. Bamidele Shafa, has said. Shafa told newsmen on Saturday in Gombe that the ex Boko Haram members would undergo the programme for 16 weeks, during which they would be rehabilitated and subsequently reintegrated into the larger society. He said, during their stay in camp, they would go through a well planned training including psycho-social therapy by various Federal Government agencies. The coordinator added that former terrorists would undergo training on citizenship, to make them responsible citizens. According to him, they will also be exposed to different types of vocational skills such as carpentry, welding, barbing, among others by the National Directorate of Employment. He said that the reformed boko haram members would receive grants to set up businesses in their various communities. Shafa said his agency would trace the families of the repentant boko haram members, to ease their return home after the training. The coordinator, who addressed the ex boko haram members, advised them to make use of the opportunity to free themselves of hatred and warped beliefs, so as to live peacefully in their communities. “We will try everything humanly possible to make your stay in the camp comfortable,” he assured them. Responding, Sale Muhammadu, one of the repentant militants, commended the Federal Government for accepting them in spite of the atrocities they committed.